Algerian police have fired teargas at thousands of protesters who came into the streets to reject the nomination of Abdelkader Bensalah as interim president for the next 90 days. The Senate president was appointed to replace Abdelaziz Bouteflika who resigned a week ago, after 20 years in power. Abdelkader Bensalah, an ally of the departed president, is to lead the country during a transition period in the run-up to presidential elections. "I am required by national duty to take on this heavy responsibility of steering a transition that will allow the Algerian people to exercise their sovereignty," Bensalah said on Tuesday. "I thank the army and all security services for their work." He has 90 days to organise fresh presidential elections. The opposition boycotted today's parliamentary session. Police fired tear gas and used water cannon to disperse student protesters who gathered in central Algiers shortly after the announcement was made. The protestors reject a Bouteflika loyalist at the head of the government. Bensalah has been working in the government for the past 40 years. The 77-year-old has on various occasions replaced the former president for official meetings, mainly in foreign countries. Protestors in Algiers told RFI the weeks of protest that led to Bouteflika's resignation would continue and that all those who were part of the "system" must leave. 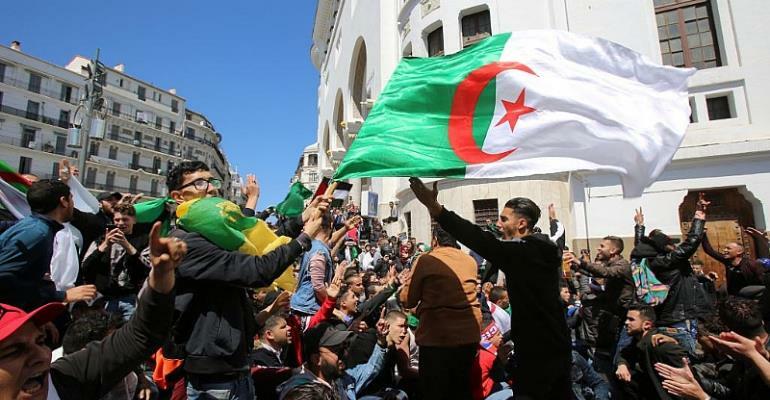 Algerian protestors clearly rejected a trio they called, "The three Bs", namely Bensalah, along with fellow Bouteflika allies, Nourredine Bedoui and Tayeb Belaïz, saying they must not be involved in the political transition. "We do not want Bensalah, he is corrupt," a demonstrator told RFI. "They have replaced a corrupt politician by another corrupt politician. We demand that they leave. We want a new state!"